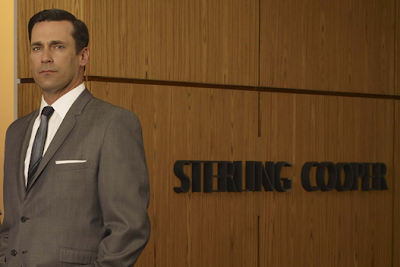 To celebrate the return of Mad Men, and also to acknowledge Revolutionary Road, this blog has been transformed* to point out the typeface blunder that both the tv show and the movie make: to think that Gill Sans would be used for signage in 1955 (RR) or 1962 (MM). Gill Sans was simply not on the radar in the US then – surely they mean Futura? And as for the Helvetica in the realtor’s sign in RR – arrrgh! * At least, for users of Mac OS X. It’s Twentieth Century if you're using WIndows.